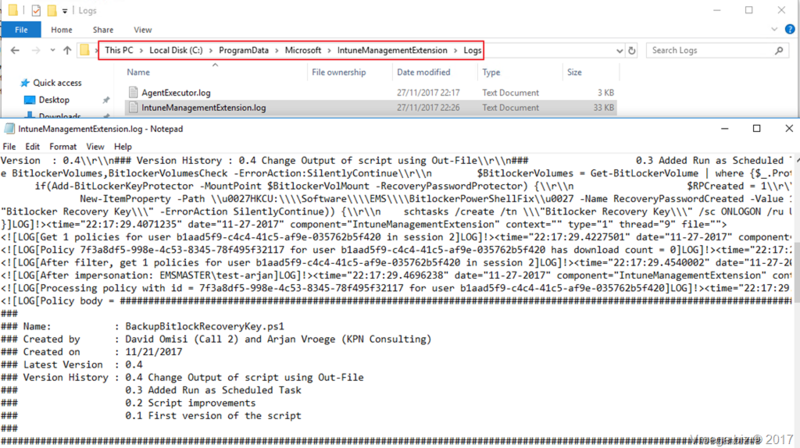 This weeks blogpost is about the new PowerShell capabilities we get through the Intune Management Extension. This new capability is released in the latest Intune release from 2 weeks ago. 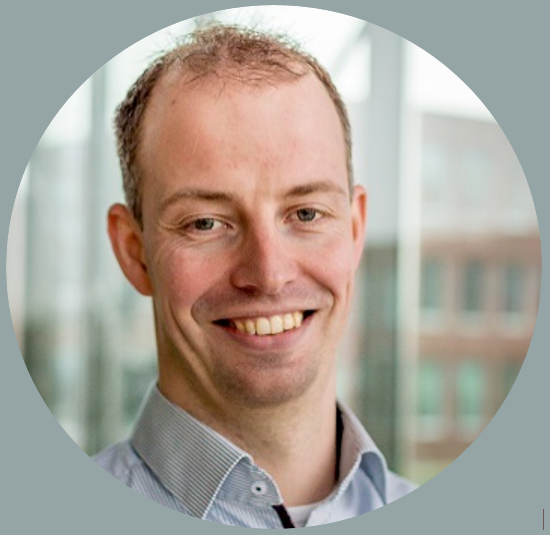 With the ability to run PowerShell on MDM managed devices many scenarios are possible. 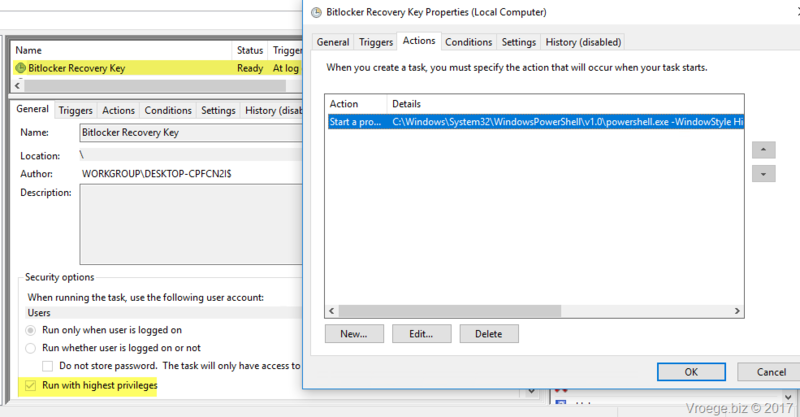 The scenario I wanted to test is to add an additional Bitlocker Recovery key to the Bitlocker configuration. If you’ve applied an Intune Endpoint Protection policy this key is automatically saved into AzureAD. 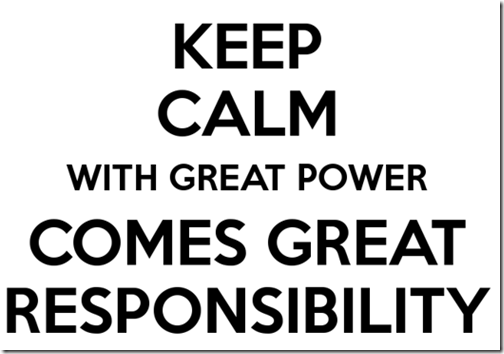 From the past I know that this is not easy because we need to run the scripts in an elevated PowerShell user session. But I accepted the challenge and I got it working. 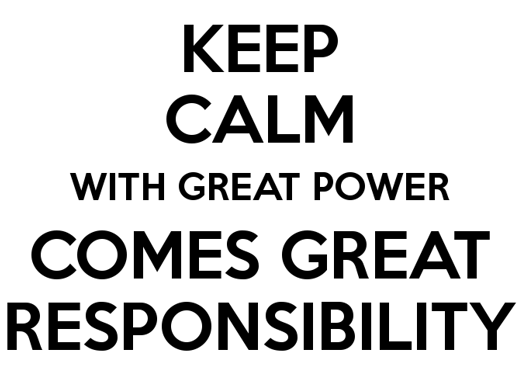 Credits also to my colleague David Omisi since he helped me developing the PowerShell script. 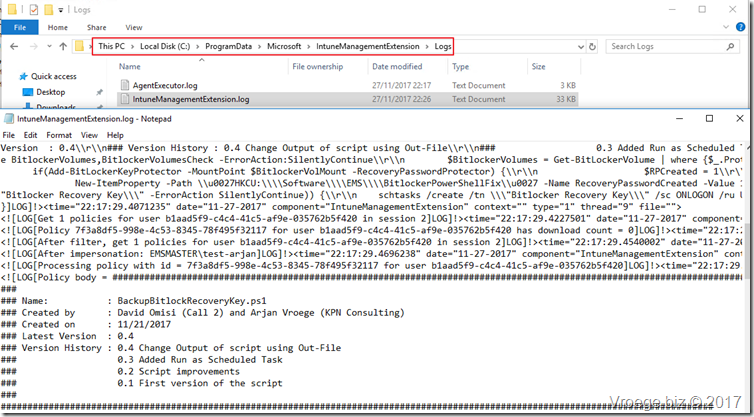 The script which runs during the user logon checks if a recovery password is already added to the Bitlocker Configuration. If not it will add an Recovery Password Protector to the Bitlocker volume. Select the group of users to which you want to deploy this script. Currently it’s only possible to assign the scripts to user groups. Assignment to a group of devices will not work. Save the assignment and you’re done with the configuration! NoActionTakenAtLastRun: If the script has not done anything due to the fact that the script was already executed this is value should be 1. 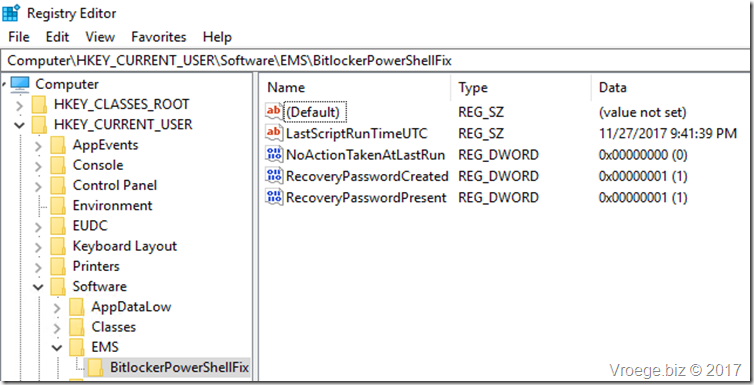 RecoveryPasswordCreated: When this value is 1 the script added a new Recovery Password Key Protector. When the value is 0 the script has not added an additional Recovery Password Protector. 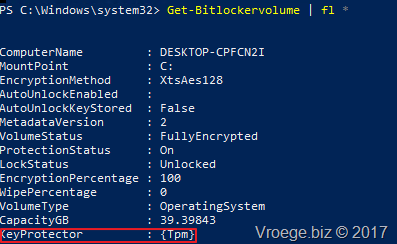 RecoveryPasswordPresent: When this value is 0 there is no Recovery Password Key Protector in the Bitlocker configuration. If the value is 1 the Recovery Password Protector was present. 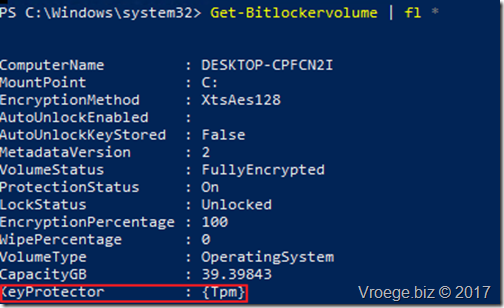 Note that above Status information only shows information of one Bitlocker volume. If you have multiple protected volumes the script will work but above status information will only reflect one volume. Does this also work without Enpoit Protection and thus on Windows 10 Pro? This version needs the Intune Endpoint Protection policy. In the next update it will support the scenario without the Intune Endpoint Protection policy. Nice, then it also supports win10 pro. Only question remains, does user need to be local admin? 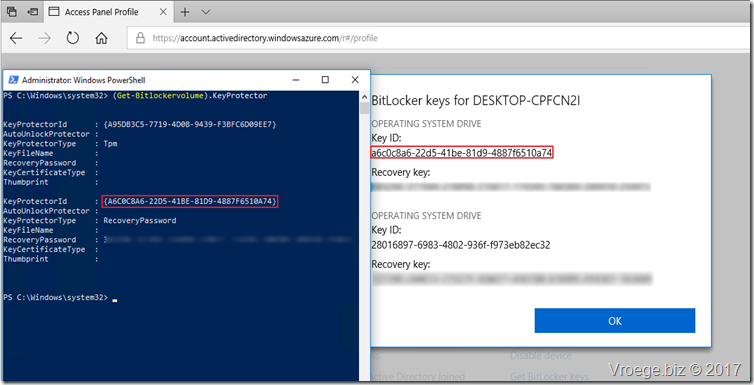 Hello Sir, is that possible for an IT admin to export all user’s BitLocker recovery key status – the key has been uploaded to AzureAD?